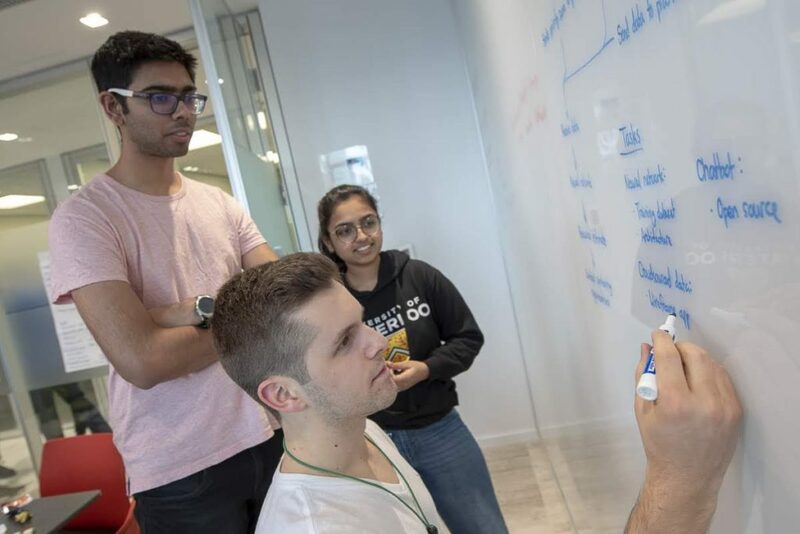 If you had told a group of students to go out and tackle Canada’s largest social impact challenges using innovative technology…you would imagine giving them several months to conduct research, scope out a problem, and build a working prototype. This year, at the inaugural Hack the Globe 2019, we gave them two weeks! The event marked the end of this year’s Global Engineering Week, a week-long initiative that exposes engineering students to multidisciplinary approaches to problem-solving. Participants, or “hackers”, included students across a range of programs including engineering, computer science, business, health sciences, and the arts. 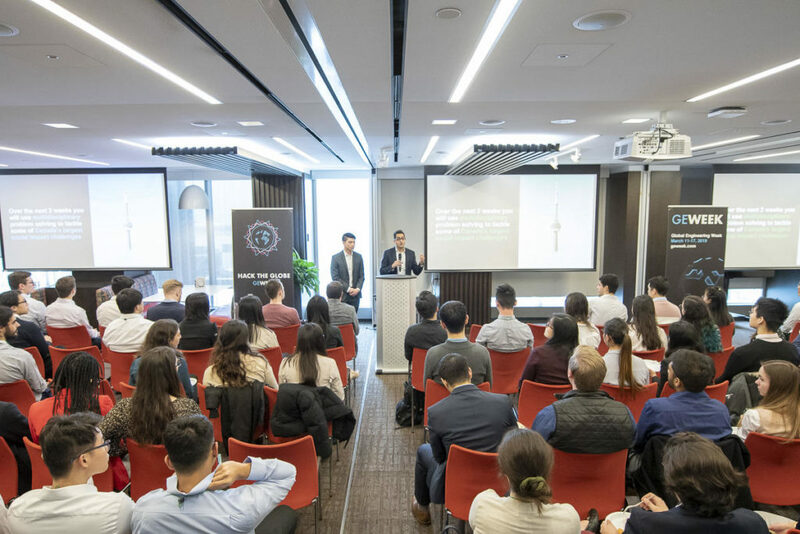 With two weeks of ideation under their belts, teams had 24 hours on March 16-17th to build a business case and technical solution tackling an issue affecting underserved communities across Canada. They worked around-the-clock with help from tech and business mentors, workshops, and an abundance of food and fun activities that kept everyone healthy and happy. With each problem area inspired and represented by winning nonprofits from the Google.org Impact Challenge Canada 2017, hackers built products ranging from an app that tracked evacuee needs after a natural disaster to a drone system that delivered educational content to remote areas via Wi-Fi! 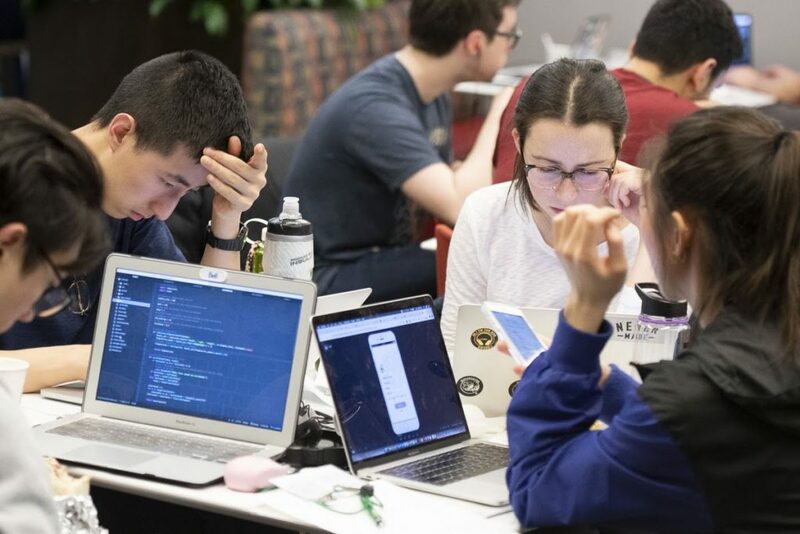 Unlike most hackathons, the focus of Hack the Globe was not just to build something cool, but to address a real-world problem and truly understand the target population behind it. To succeed, students required not only excellent technical abilities but a deep understanding of the socioeconomic, political, cultural, and environmental factors at play. Often overlooked, these multidisciplinary perspectives are integral qualities of a well-rounded engineer and one of the reasons why initiatives such as National Engineering Month are so important for our next generation of engineering students. Thank you National Engineering Month for your support!